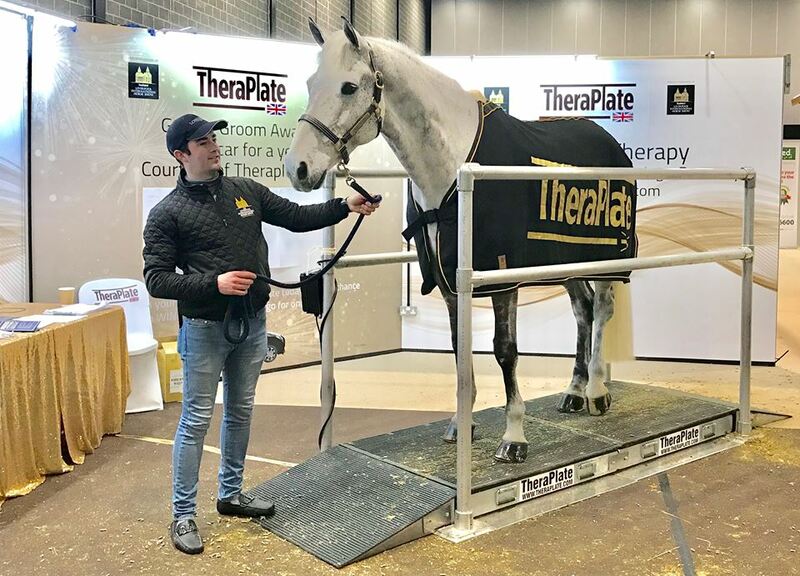 The TheraPlate UK Liverpool International Horse Show 2018 saw the introduction of two epic awards centered around equine wellbeing. The Golden Groom Award and Peak Performance Award celebrate the care and compassion from each equine athlete’s support team and reward the hours of hard work which it takes to get these horses to their peak. 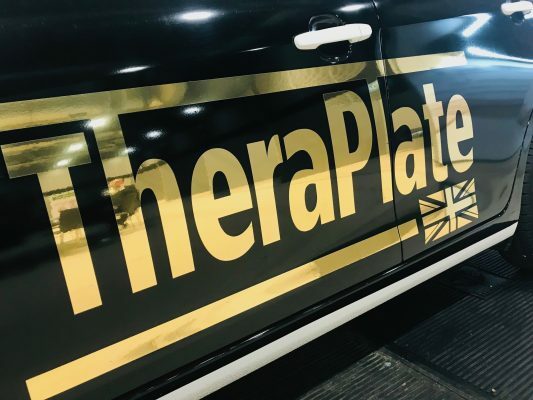 Dominic and Francesca Fox, owners of TheraPlate UK have always recognised the passion and dedication required from the grooms and the vital role they play in equestrian sport. As a result, they introduced the Golden Groom Award and Peak Performance Award to give back to the industry and highlight the commitment, care and devotion which goes into these maintaining these horses. 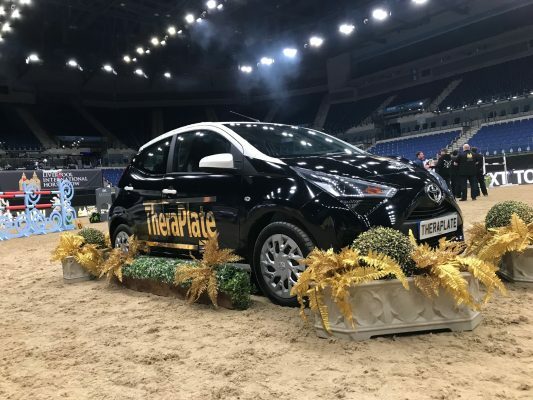 With unmissable prizes, including a car for a year awarded to the Golden Groom and a TheraPlate for a year to the winner of the Peak Performance Award, the number of entries were astounding with a constant line of horses wanting to try the TheraPlate in the stable area! Horses who had used the TheraPlate at the show were judged by Dominic and Francesca on their condition, turnout and wellbeing. All shapes and sizes of horses were entered, from Grand Prix showjumpers to Shetland racers! Following extensive deliberation, a winner was picked. Daniel Tarpey, groom for Harry Charles, was selected as the winner of the Golden Groom Award and recipient of the car for a year. Daniel was chosen for his care and attention given to Harry’s ride, Sieco- a gorgeous 9-year-old grey gelding with a cheeky personality! The Peak Performance Award and TheraPlate was presented to the owner of Sieco, Peter Charles. Following the grand presentation of the award, we caught up with Daniel to find out more about what makes him a Golden Groom. Going to Royal Windsor with Fiona Collino- ex groom for William Funnell and current groom for Poden Farms. Fiona really taught me the ropes and what it was like to work at an international show at such a young age! How did your childhood passion evolve into your equestrian career? I’ve always loved horses for as long as I can remember. I would drive my family crazy wanting to go riding every weekend when I was very small! I’m so grateful that it’s now turned into my career! You never stop learning, and it’s definitely a lifestyle for me but one which I wouldn’t swap for anything. I’ve been really lucky to have worked on a freelance basis for a few years with different riders. Working with one of my best friends, Laura Mantel, and watching her progress through the ranks has been really special for me. Another highlight would definitely be when I was working for Harriet Nuttall during her win at the Nations Cup in Odense. However, the absolute highlight has to be the whole of 2018 though, working with Team Charles has been simply amazing. We’ve accomplished a lot and made some great memories along the way. I’ve been fortunate enough to attend some of the best shows in the world, although I think the best is yet to come for Team Charles!! It definitely has to be the horses! They really help to keep me motivated, it’s a hard job and you have to love what you do. We also have a great team around us and we all play a part in keeping the wheels turning! Biggest challenge faced when working with horses? Being organised and having a strict system and routine is a necessity for the team, and the horses also thrive from it! We deal with horses in peak condition at the top of their game, which is vital to keep competing at the highest levels. This take a lot of preparation and planning but it’s so worth it to see the horses doing so well. Do you own your own horse, and do you have time to compete? As cliché as it sounds, the horses at Team Charles are my babies and I put them before anything else! I am forever on the road with them, caring for them and always going the extra mile for them. This does take a toll, as my friends will tell you, I often have little time left for anything else! Where is your favourite show ground? I have been so fortunate to have had the opportunity to travel to some amazing shows. One of my particular favourites is Aachen, Germany. The atmosphere is electric, and it is one of the biggest shows in the world. We know you are not allowed favourites, but who is your yard favourite and why? I don’t really have favourites, all of our horses are lovely!! I am travelling with them most of the time so know them all as individuals. Although, if I had to pick, the horse I go to first every morning is Fred (ABC Quantum Cruise). He’s a lovable rogue who I love to spoil, he’s definitely a big softie! What’s your favourite quote/advice to live by? Keep your head down and work hard, you will get rewarded along the way. Also respect the older grooms and they will be willing to help you! And finally, you never stop learning. What are your must have items as a professional groom? I can’t leave the yard for a show without my grooming box, which has everything I need in it, and my trimmers- there’s always something that needs trimming up at a show! It’s all the fine details that go towards the end result. What does a ‘normal’ day consist of for you? When at home, my day starts when I wake up at 6:15am. I feed and hay at 6.30am, make coffee and begin mucking out at 7am. Breakfast for us is between 8-8.30am depending on how busy we are. 8.30am-1pm we exercise all the horses, this includes riding, using the treadmill and the walker as well as turnout time in the field. We also use the TheraPlate at this time too for warming up and cooling down the horses. In the afternoon, we do all the ‘odd jobs’ like clipping, tidying the yard, de-cobwebbing and just general cleaning. 4-5pm we skip out the horses, hay and feed and check they are all well. We try to keep the same routine every day, it’s really important that the horses stay in this routine and it does really work for them! We also make sure that they have their rest at lunchtime. They are given their lunch and hay then we leave them for an hour, we also do the same at 5pm. It’s really beneficial for their mental and physical wellbeing to have this ‘downtime’.